James Bond is not only famous for wearing a dinner jacket when going out in the evening but also for often still wearing his dinner jacket the following morning. The dinner jacket is a garment properly worn only in the evening and not something James Bond would don for the daytime without good reason. When Bond is still in his dinner jacket the next morning it tells us that he was out the entire night or spent the night away from his hotel. In these circumstances he has nothing else to wear. Bond never puts on his dinner suit the next day because he wants to dress up. 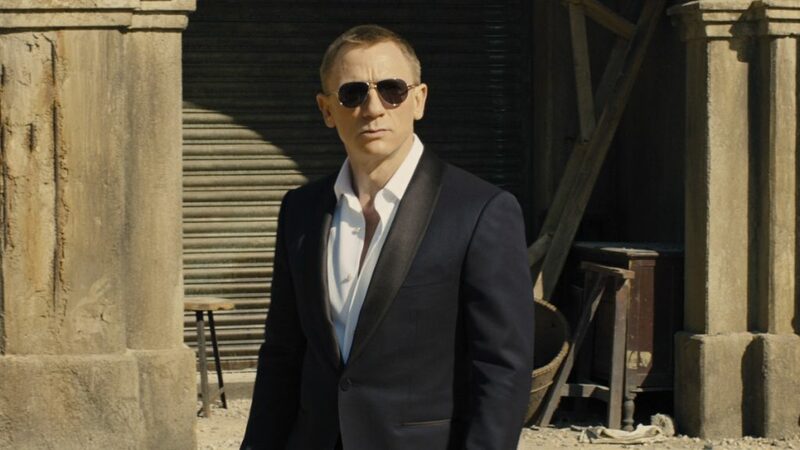 Bond usually wears his dinner jacket the next day because he spent the night at a Bond Girl’s home or hotel, but he sometimes is still wearing his dinner jacket the next day due to less fortunate circumstances. Typically the next day the bow tie is hanging untied around the neck or has been disposed of. 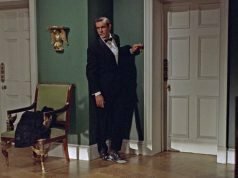 The first time we see James Bond wearing his dinner jacket in the morning is at 3 am in Dr. No when he is suddenly called into the office from the Le Cercle club. But since the sun has not yet risen, it does not properly count as wearing his dinner jacket the next morning. 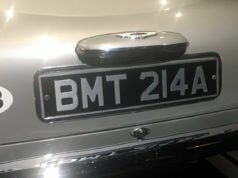 The first real occasion when we see Bond in his dinner jacket the next morning is in On Her Majesty’s Secret Service when Bond is chasing after Tracy in his Aston Martin DBS. It’s dawn and Bond still has on the full black tie rig, presumably because he was at his hotel’s casino the night before. When he gets out of the car, he removes his trilby, jacket, shoes and bow tie to rescue Tracy from drowning. In Diamonds Are Forever, Bond unexpectedly finds himself in his full dinner suit the next day after dressing up to drop in on Willard Whyte, which turns out to be an encounter with not one but two Blofelds. As Bond exits his meeting in a lift (or should I say elevator? ), he is gassed and ends up in a pipe that is laid underground. When he awakens and crawls out of the pipe, he discovers it’s already the next day and he is improperly dressed. 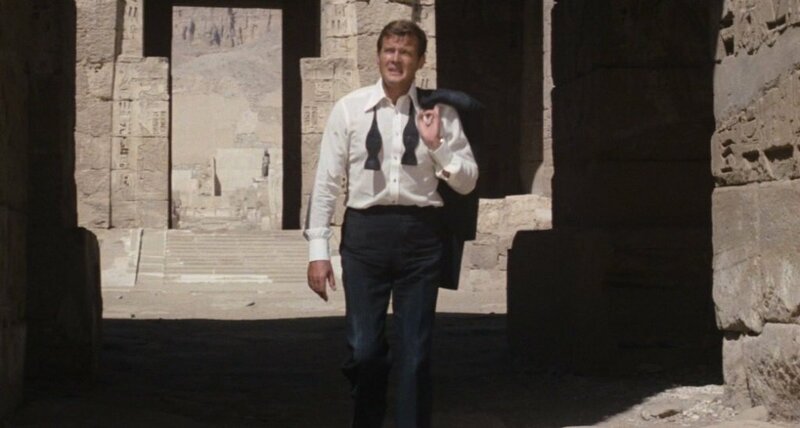 In The Spy Who Loved Me, James Bond puts on his midnight blue mohair-blend double-breasted dinner suit for an appointment and night out at the Mujaba Club. After Jaws kills Max Kalba, Bond camps out in the back of Jaws’ van. 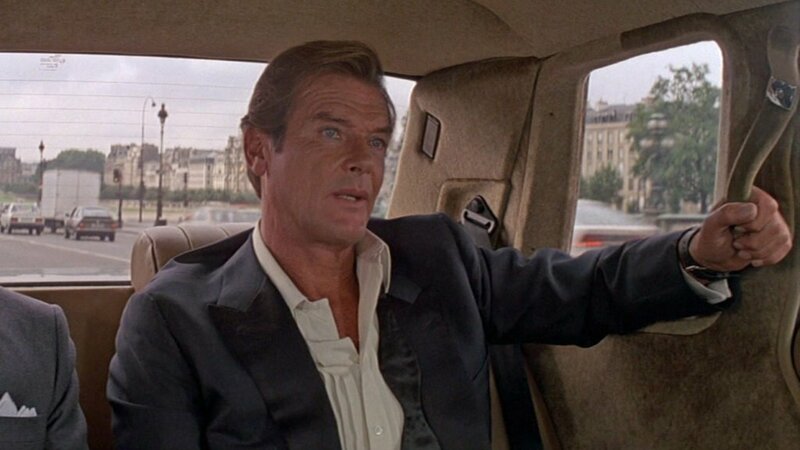 When the van stops and Bond gets out, it is the next morning and Bond is still fully dressed in black tie. He leaves his full outfit on for a battle with Jaws until he removes his jacket when wandering through the desert. He puts it back on the next evening when it gets cold on a boat ride. When he awakens the next morning he removes it and finally unties his bow tie when he walks through Egypt to find his Universal Exports’ local office. Once he gets there he sets down his jacket but leaves his wide butterfly bow tie hanging untied around his neck. This is the first time we see the iconic image of James Bond with a bow tie hanging untied. After spending two nights in his dinner jacket without anything to change into, Bond only mildly looks worse for wear. 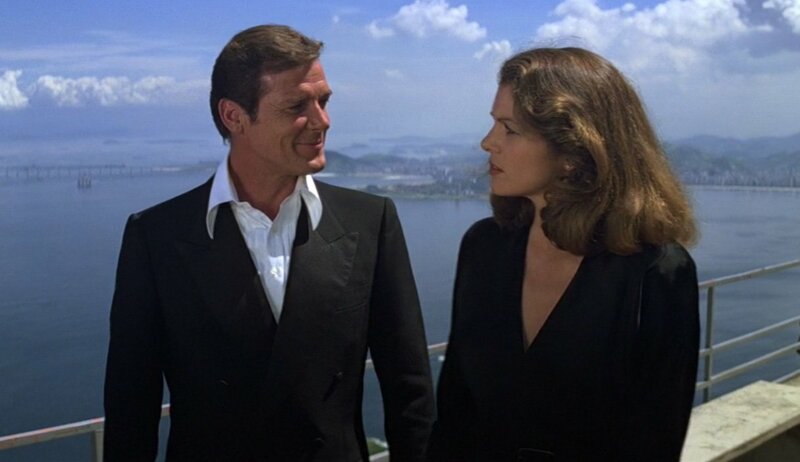 James Bond has on his black mohair-blend double-breasted dinner suit the morning following Carnival when he visits Sugarloaf in Moonraker. He has discarded the bow tie and is wearing the collar of his white dress shirt open with the points outside the collar of his dinner jacket. Because he still has his dinner jacket on the following morning it means he did not go back to his presidential hotel suite that night. With no time to spare, he was out for the night investigating Drax Air Freight. In For Your Eyes Only, Bond wears a black dinner suit for an evening at the casino and dinner with Kristatos. He ends up going home with Countess Lisl von Schlaf and has nothing with him but the clothes on his back. He borrows Columbo’s dressing gown for the evening and spends the night. He puts on the trousers from his dinner suit and his dress shirt for a walk on the beach the next morning rather than borrow anything else to wear. What better reason for Bond to have to wear yesterday’s clothes? After dressing for dinner at the Eiffel Tower and chasing May Day across Paris, James Bond ends up causing a great deal of destruction and spends the night in jail until M comes to rescue him. All he has to wear in jail is his midnight blue double-breasted dinner suit. It’s a less fortunate reason in A View to a Kill than the one in For Your Eyes Only for Bond to have to wear his dinner suit the next day. Here he has opened his shirt collar and untied his bow tie to let it drape around his neck. 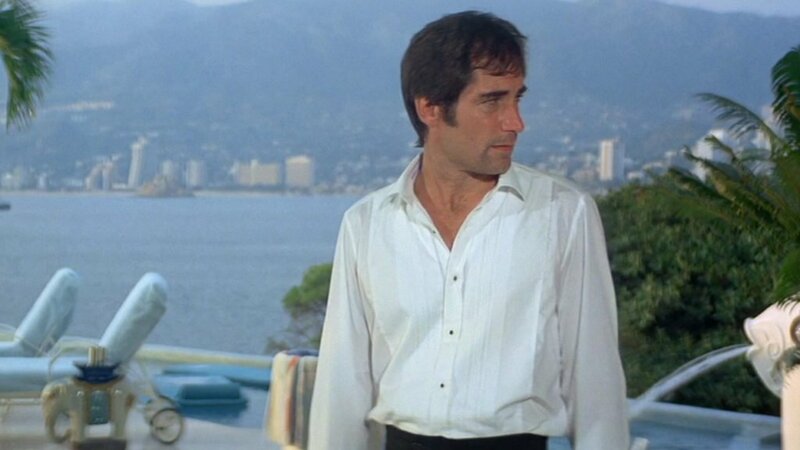 In Licence to Kill, Bond dresses in black tie for the casino, but he ends up captured/rescued by villain Franz Sanchez. 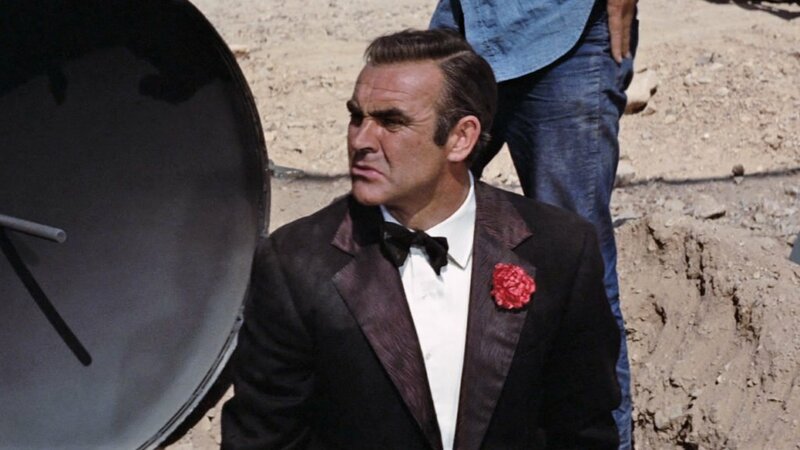 When Bond wakes up in Sanchez’s villa the next morning, he finds that his dinner suit, dress shirt, bow tie, cummerbund and holster have been neatly arranged on a valet stand. Bond has no other clothes, so he puts on the dress shirt and black trousers from the dinner suit. On yet another occasion, Bond wears a midnight blue mohair-blend dinner suit for going out to a casino and stays out all night at work in The World Is Not Enough. 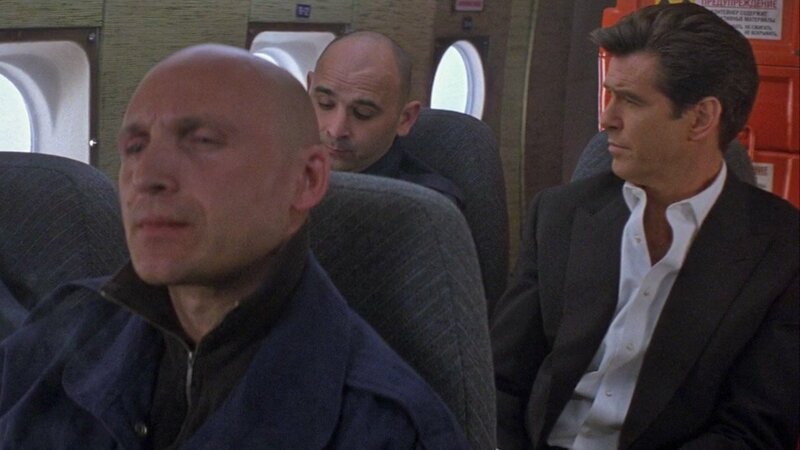 He removes his bow tie when sneaking around at night and boards a plane pretending to be a Russian nuclear scientist, still wearing the dinner suit. The next morning he replaces his dinner suit with a blue Russian Atomic Energy Agency uniform, but he wears his Turnbull & Asser dress shirt underneath because that’s all he has. After Bond meets Severine at the casino in Macau in Skyfall, he goes with her to her home aboard a yacht while wearing a midnight blue shawl-collar dinner suit and does not bring a change of clothes. The next morning he puts on the trousers to his dinner suit, white braces and his dress shirt from the night before, and when he arrives on Silva’s island handcuffed he is wearing the dinner jacket again. Bond has no need to dress up for his arrival on the island, but he put the jacket back on either because it was chilly or because he didn’t want to leave his jacket behind. After all, it would be a shame to lose a Tom Ford dinner jacket. Unless you have found yourself in any of these situations, you won’t look cool wearing your dinner suit the next morning. And even if you are captured by a villain while wearing black tie and a dinner jacket is all you have, your captor will likely make fun of you for pretending to be James Bond. The far end of the beloved sprezzatura. Well, Bond does have a nack for nonchalance. The romance of a knight in beautiful but impractical armor always cuts out nicely. Still, it’s one of the few things that we all love about Bond. I don’t see this as sprezzatura. It’s just Bond making the most of what he has. Sort of an implication of it, but not necessarily it, I would rephrase. Sure. Pople who dress with sprezzatura may aim to dress the way Bond does naturally. The costume designers are dressing Bond with sprezzatura (a studied carelessness) here, but we’re not supposed to believe that Bond himself is putting his clothes on in a studied way. 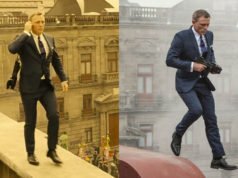 I rarely feel that the concept of sprezzatura applies to the way we’re supposed to believe the character gets dressed, but it can apply when Bond leaves a cuff button open on his suit jackets or his cocktail cuffs. Even just a preference for the four-in-hand knot and a dislike of the windsor knot could be an argument in favour of sprezzatura. Agreed. I recall a quote somewhere – where I shall hereinafter sort of paraphrase the quote – saying that a well dressed person should just put the garment on and go on about as if the person never cares for it. If I recall correctly, it came from a Savile Row tailor or so. If anything, the quote fits Bond perfectly. 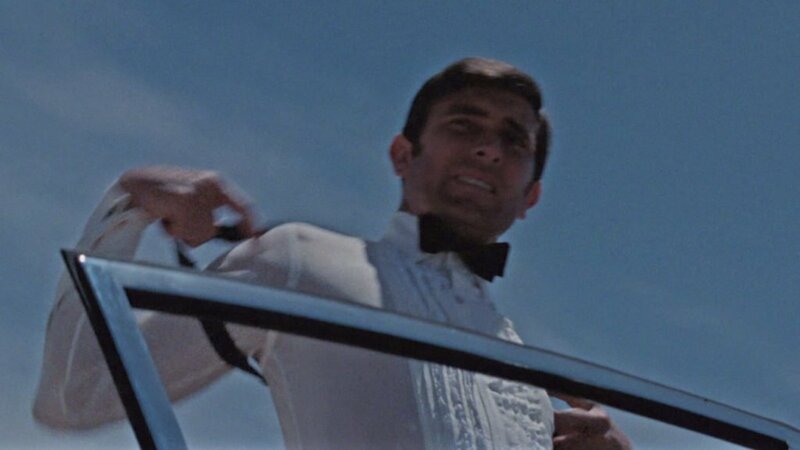 My favorite is Lazenby’s because, unlike the others, we have no idea why he is wearing his evening rig other than the fact that he’s James Bond. It was a very memorable way to establish him as the character. That was a fun read! Who do you think pulled it off best? I’m partial to TWINE or Skyfall, but might give the edge to Skyfall as I’ve become a fan of the shawl collar. I agree, I’m torn between Skyfall and The World is Not Enough. I think Skyfall takes it.